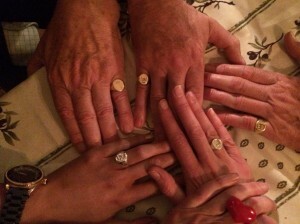 At a recent family gathering, it was noticed that five of us were wearing the same signet ring, inherited from our Russian great-great-grandmother or, in one case, great-grandmother. Olga Aleksandrovna Naryshkina (or Narischkine, as it was usually spelt in the West) was born at Paris in 1847, and died at Southsea, Hampshire, in 1927. There was some discussion about what the arms represented. Alternative explanations were offered, but here is mine. The Naryshkins had been a relatively obscure gentry family until the late seventeenth century, when a certain Natalya Kirilovna Naryshkina had caught the eye of the ‘Most Gentle’ Tsar, Aleksey Mikhailovich. As a child Natalya had been sent to Moscow from the remote province of Torussa, to be brought up there by her godmother, a Scotswoman called Madam Matveeva. This lady, whose maiden name was Hamilton, was married to the Boyar Artemon Matveev, the Tsar’s close friend and adviser. At a time when foreign influences were generally abhorred and when women were shut away from the world in separate quarters, the Matveevs were open to the progressive ideas, habits and customs of the West, which were imbibed by Natalya herself as she grew up. The widowed Aleksey, an occasional visitor to the Matveev house, was charmed by their young ward and, on 22 January 1671, they were married. The following year, Natalya gave birth to a son who was the future Tsar and Emperor Peter the Great. Natalya’s father and a throng of brothers, uncles and cousins had immediately descended on the court to receive patronage from the uxurious Aleksey. The status of the family was transformed, almost overnight. They were received into the Duma of Boyars and were loaded with lesser titles, as well as gifts of land and serfs. Quick to conceal their undistinguished origins behind a mythical version of their genealogy, they cultivated social pretensions to match. 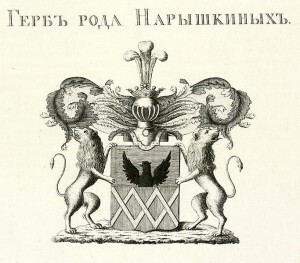 In 1686, when the then joint Tsars, Ivan and Peter, created the famous Velvet Book in which the pedigrees of the nobility were to be inscribed, the Naryshkins entered one that took them back to ancient times. It was claimed that they descended from the Naristi, a Germanic tribe mentioned by Tacitus. As the Naristi were thought to have inhabited the north-west corner of Bohemia, the Naryshkins took as their arms those of the capital of that region, the imperial city of Eger (modern Cheb in the Czech Republic). The arms adopted by the family thus consisted of an imperial eagle with the lower part of its body covered by a grille, alluding to the fact that the incomes of the city had once been placed in pawn by the Emperor. It was further claimed that, as their ancestors had reigned over Eger, the Naryshkins had inherited princely rank, a privilege that in Russia was traditionally reserved for the male-line offspring of former ruling houses (those of Kiev, Lithuania, Tatary and a few others). However, among the Naryshkins, it was a point of honour that the title of prince should never be used. They maintained that their surname was dignity enough. 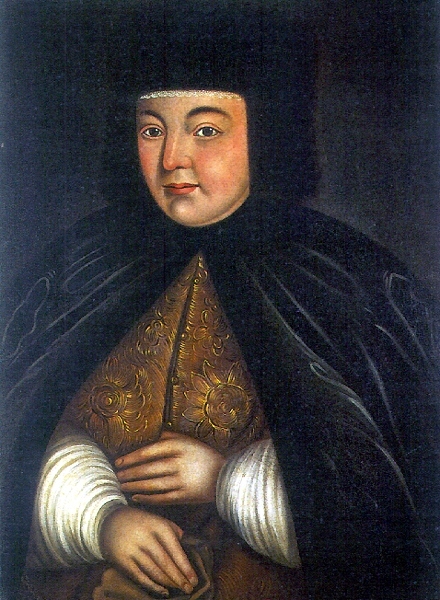 Tsar Aleksey had died in 1676, to be succeeded by Fedor, the son of his first marriage. After Fedor’s death in 1682, the Naryshkins had hoped to promote Peter to the throne, but had been thwarted by his half-sister Sofya, who, on seizing power, had purged the court of Naryshkin influence, brutally putting leading members of the family to death. Seven years later, they had had their revenge, deposing Sofya in a coup (she was shut away in a convent) and inaugurating the sole reign of Peter, although his mother became the de facto ruler of Russia until her death in 1694. 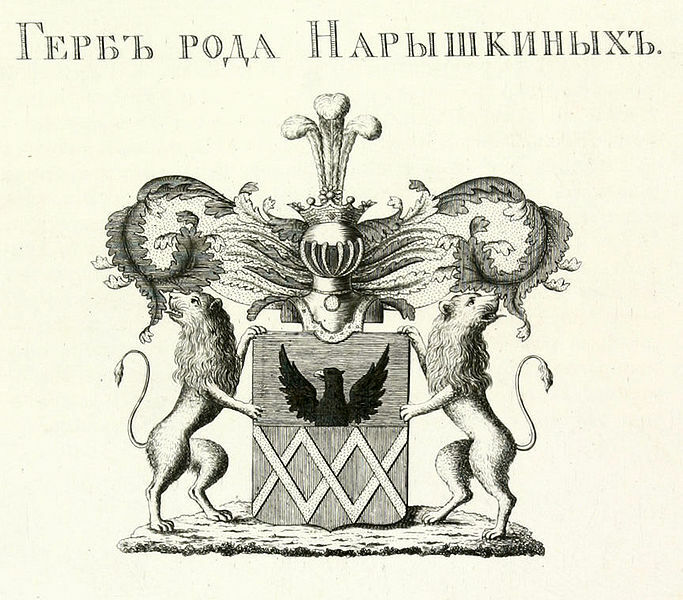 Since that date, the Naryshkin family had never ceased to occupy a position of prominence in the Romanov court. Given the uncertainties of his early life, it is not surprising that Peter grew up to be remarkably ignorant and uncouth, but it seems he owed all his most remarkable qualities to his mother’s side. The first Romanovs had all been feeble, either in body or mind. Peter was a giant of just under seven feet. When he walked, his officials had to run along beside him in order to keep up. He was naturally athletic, and so dexterous that he could twist a silver platter into a scroll, and cut a piece of cloth with his knife in mid-air. His manners were appalling. On one occasion, when a guest was boring him at dinner, he spat full in his face. The Russian upper classes were not noted in that period for their refinement. 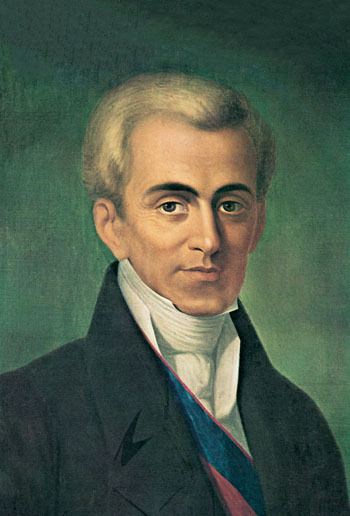 Yet it was from Natalya that Peter had inherited the nervous energy which enabled him to modernise and transform his country. His mental agility, his enquiring mind and his admiration for the West were further legacies from his mother. Physically, he is said to have resembled one of her brothers, Fedor Naryshkin. Olga Naryshkin was descended from one of Natalya’s great-uncles, Ivan Ivanovich. All her ancestors since Ivan had held office at the imperial court. 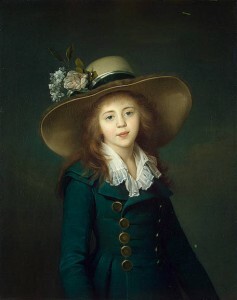 Her great-great-grandfather, Aleksandr Ivanovich (1735 – 82), Chamberlain and Privy Councillor in the reign of Catherine the Great, had married the Princess Anna Nikitishna Trubetskaya, daughter of Prince Nikita Trubetskoy, Procurator-General of the Senate, from the old Lithuanian royal line. 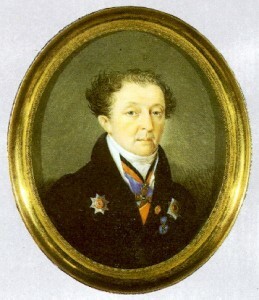 Their son, the Senator and Ober-Tseremoniymeister Ivan Aleksandrovich Naryshkin, had in turn married in Catherine’s presence into the fabulously rich Stroganov family, though he had been sentimentally attached to a certain Mademoiselle Vertel, a Frenchwoman who kept a shop in St Petersburg. The Baroness Ekaterina Aleksandrovna Stroganova had nevertheless borne him three sons, Aleksandr, Grigory and Aleksey, and two daughters, Elisaveta and Varvara. Aleksandr was an officer in the Life Guards who had died pointlessly in a duel, having been rash enough to challenge Count Fedor Ivanovich Tolstoy, the most famous duellist of the day. Grigory, the elder surviving son, became a Colonel in the Semenovsky Guards’ Regiment, died in Sorrento in 1835, and was the father of Aleksandr Naryshkin, Olga’s father. ‘If I wrote a book about Corcyra it would not be a history but a poem.’ That is the promise that Lawrence Durrell fulfils in his beautiful Prospero’s Cell: A Guide to the Landscape and Manners of the Island of Corfu. First published in 1945, the book is one of the fruits of his Alexandrian exile during World War II. Among the curiosities of the island, Durrell mentions ‘the remains of a Venetian aristocracy living in overgrown baronial mansions, buried deep in the country and surrounded by cypresses’. More curious still is Corfu’s relationship with the British, who ruled the Ionian Islands, of which it is part, for fifty years from 1814 to 1864, when they were ceded to Greece. 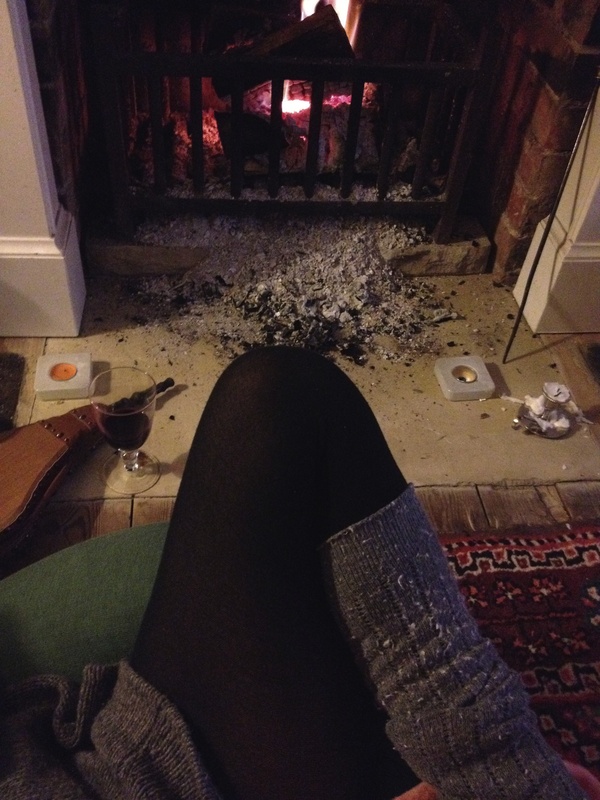 Britain’s legacy to ‘Corcyra’ today includes, apart from some ‘nostalgic love and admiration’ (notwithstanding their resentment of them at the time), an addiction to cricket – ‘a mysterious and satisfying ritual which the islanders have refused to relinquish’ – and to ginger beer. A blending between the decaying aristocracy of the island and its ‘bluff rulers’ – Durrell quotes Viscount Kirkwall’s description of them as exasperatingly self-satisfied with their paper-chases and tea-parties – occurred in my own family. Admiral Charles Bayley Calmady Dent, born at Plymouth in 1832, was my grandfather’s great-uncle. My grandfather was brought up by Charles’s sister. Steeped him in naval lore (the Dents had been serving continuously since the late 1600s), my grandfather himself embarked on a naval career at the age of only thirteen. Charles Dent’s period of service had been full of incident. The youthful First Lieutenant of H.M.S. 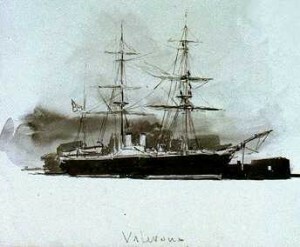 Valorous during the war with Russia (the so-called ‘Crimean War’), he had been posted not to the Black Sea but to the Baltic, and had led a raid on the port of Uleaborg on the Gulf of Bothnia, destroying its stores and installations. The citizens of Uleaborg had already abandoned the town, leaving a ‘large number of spirit-stores open’, but Charles’s marines had maintained their discipline, despite the ‘great trials and temptations’ to which they were exposed, not to mention ‘the almost uninterrupted sleet’. Transferring to H.M.S. Gorgon, which, like Valorous, was a paddle-steamer, Charles saw further action in the Baltic, in September 1855. In command of a detachment consisting of the pinnace, the cutter and a gig from Gorgon, together with forty of her crew, he was sent ‘to examine the Siela Sound, entrance [to the] Gulf of Riga, with directions to take possession of a small islet in that quarter; a position for stopping the trade passing in or out, as also forming a good shelter for the boats’. 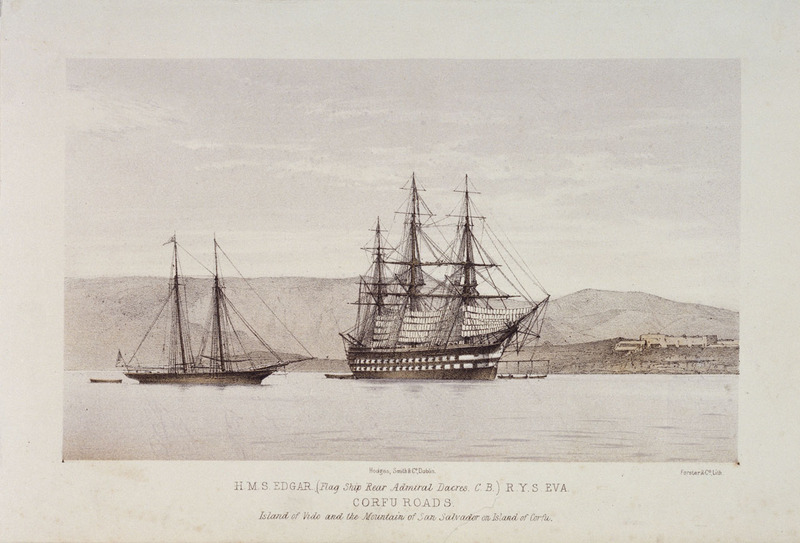 In a period of five days, Charles succeeded in capturing ‘nine small vessels’ with their cargoes, and was able to report that ‘no vessel had escaped the line referred to, although the weather was rather unfavourable for boating operations’. These were actions almost worthy of Charles’s father, Rear-Admiral Charles Calmady Dent, a naval officer of the heroic age, who had assisted in assaults on Possitano and other Italian ports in the Napoleonic War, at the capture of Port d’Anzo (where there was heavy loss of life) and, later, in the boarding of a pirate vessel in the Persian Gulf, in which a misplaced thrust in the head from a boarding-pike is said to have ‘half-killed’ him. The ‘heroic age’ was further recalled when Charles, by now a Commander, was appointed, on 11 July 1862, to the two-decker battleship H.M.S. Edgar, again as First Lieutenant. This was a time when ‘the transition from sails to steam was being gradually accomplished’. The Channel Squadron, of which she was part, consisted of ‘a mixture of wooden ships and ironclads: most of the former could not steam, none of the latter could sail. Nevertheless the Admiralty, who always have an eye to economy, decreed that, as the ships had masts and yards, they must sail.’ In the midst of all the advances in technology for which that era is famous, H.M.S. Edgar was a steamship, yet wooden-hulled and fully masted, looking exactly like something from Nelson’s fleet at Trafalgar, nearly sixty years before. It was during a cruise of the Mediterranean in the summer of 1862 that Charles sailed in the Edgar into Corfu Harbour, to a fateful meeting with his future wife, Corinna Kourkoumelles. Born on Corfu on 21 November 1840, she was the eldest of the three daughters of Sir Demetrios Kourkoumelles, K.C.M.G., an Advocate, who served as Regent of the British Military Protectorate of Corfu from 1862 until the end of British rule in 1864, after which he became a Member of the Hellenic Parliament. Sir Demetrios’s picturesque family seat at Afra (‘Breeze’), in the centre of the island, had been built in the 18th century in the Venetian style, above the cloisters of a deserted monastery – the family having migrated to the island from Kephalonia in the about 1750. The house at Afra is, or was until recently, still in the possession of the family (and occasionally visited by Corinnas’s descendants), but may be the old mansion there that is currently being offered for sale – http://rrcorfurealestate.com/pages/en/sales.php?prod=291&cat=5. It is just the sort of ‘overgrown baronial mansion, buried deep in the countryside and surrounded by cypresses’, to which Durrell refers. The family had impeccable Corfiot connections. Corinna’s mother was Elisa, daughter of Nicolo Rodostamo, member of the Ionian Parliament, by his wife Maria, daughter of Count Antonio-Maria Kapodistrias, Doctor of Laws at Pavia, Member of the Grand Council of Corfu, Senator, and sometime Ambassador to the Sultan and the Tsar. Antonio-Maria was the brother of Ioannes Kapodistrias, undoubtedly Corfu’s most famous son – Minister of Foreign Affairs in the Tsar’s service (1816-22), and first President of Greece between 1827 and 1831 (when he was assassinated). Charles and Corinna’s wedding took place in London, at Kensington Parish Church, on 6 August 1863 – the Edgar’s First Lieutenant was able to absent himself from a summer cruise around the British Isles. His address was given as 1 Norwood Place, and that of his bride as 40 St James’s Place. 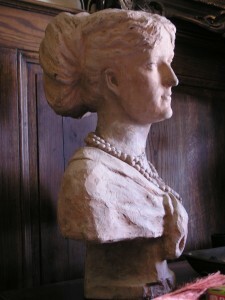 The then master of the Edgar was no doubt present – the future Admiral-of-the-Fleet Sir Geoffrey Phipps Hornby, a grand Victorian figure (and a connection by marriage), who was to be celebrated, at the end of a long naval career, for never having fired a shot in anger. Corinna’s family clearly did not share the general distrust of Corfiots for the British. Her father is said to have preferred to be called ‘Sir Demetrios’ rather than ‘Count’ – the Order of St Michael and St George, to which he belonged, is nowadays doled out to diplomats and others serving overseas, but had been instituted in 1818 specifically to reward natives of the Ionian Islands and of Malta. While in England, Sir Demetrios matriculated an elaborate coat of arms at the Herald’s College which included a variant on the Dent family motto – to their Ne Cede Malis he had added Sed Contra. Corinna’s younger sister Euphrosyne was also to marry an English officer, a Major Jettars. The newly-wed Corinna had quickly to inure herself to the prolonged absences of her husband, the Channel Squadron spending the winter of 1863-4 between Madeira, Teneriffe, Gibraltar and Lisbon. At Portland on 25 April 1864, it was to receive a visit from Garibaldi and his entourage. They were entertained to a substantial late lunch – it began at 6 p.m. – aboard the Edgar, as flagship of the commander-in-chief, Admiral Dacres. From the middle of the following August, the headquarters of the fleet was at Portsmouth, where the ships remained until 27 March 1865, ‘when the Edgar came out of harbour under sail – the last line-of-battle ship that ever sailed out of Portsmouth Harbour’. The crew of the Edgar were no doubt unconscious at the time of their moment in history. The squadron had cruised down to Lisbon by 22 April, bearing a mission (under Lord Sefton) to invest the King of Portugal with the Order of the Garter. The ensuing festivities included a visit by the King himself to the Edgar, and a match against the Lisbon Cricket Club, in which the naval team was victorious. Perhaps Charles and others of his crew had already played a part in inculcating the Corfiots with a love of the game. Charles never achieved a command of his own, and the Edgar was his last ship. He retired from the service on 16 December 1865, and took up a post with the London North Western Railway, as their Marine Superintendent at Holyhead on the Isle of Anglesey. He was nevertheless to enjoy promotion on the superannuated list (having commuted the pay), eventually attaining the rank of Admiral in 1893. He died at Chester on 20 March 1894. Corinna died at a cottage called ‘Decoy’, near Beaulieu, on 27 January 1918. The product of a hard school, Charles was no doubt a tough, stoical seaman and stern disciplinarian. The log-book of one of his officers in the Edgar, G.S. Rolph, was recently sold by a dealer and offers insights into the routine of life aboard in 1864: ‘Sailmakers repairing mainsail… Carpenters variously employed’; ‘Mustered by divisions. Performed Divine Service’; ‘Punished Wm. 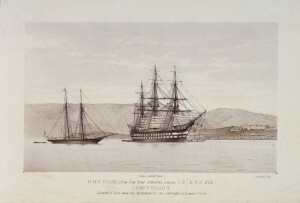 Shipper with 36 lashes as per warrant.’ ‘Fired Royal Salute.’ (http://www.baumanrarebooks.com/rare-books/ship-s-log-ralph-george-s-/illustrated-manuscript-log-of-the-h-m-s-edgar/83728.aspx) Charles’s son Douglas Lionel Dent, who served in a successor to H.M.S. Edgar and also became an Admiral, was a notorious martinet, known in the service as ‘The Rogue Elephant’; a daughter, Cora, was the formidable Matron of the Royal Infirmary, Bristol, known as ‘The Acid Drop’. The men of the family were conspicuous for their height and build: one piece of family lore that has passed down to me is that Charles could contain Corinna’s tiny waist within the span of his hands. λαμπρον φεγγος ἐπεστιν ἀνδρων και μειλιχος αἰων. Creatures of a day! What is a man? What is he not? A dream of a shadow is man. But whenever Zeus-given brightness comes, a shining light rests upon men, and a gentle life.